The Officially Licensed PRO4-MONO is designed to provide both comfort and quality. The 40mm speaker driver provides high quality audio performance, allowing you to maintain focus on your gaming. Complete with an adjustable ear cup and a padded headband to provide complete gaming comfort. 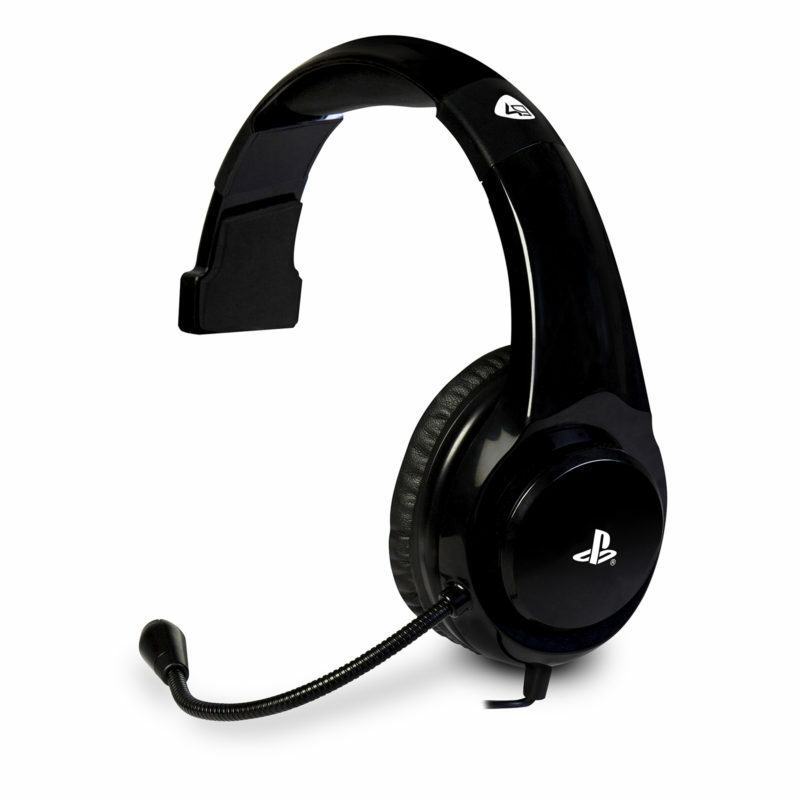 Q: Does this headset work with PlayStation 3? Q: Is this a wireless headset? 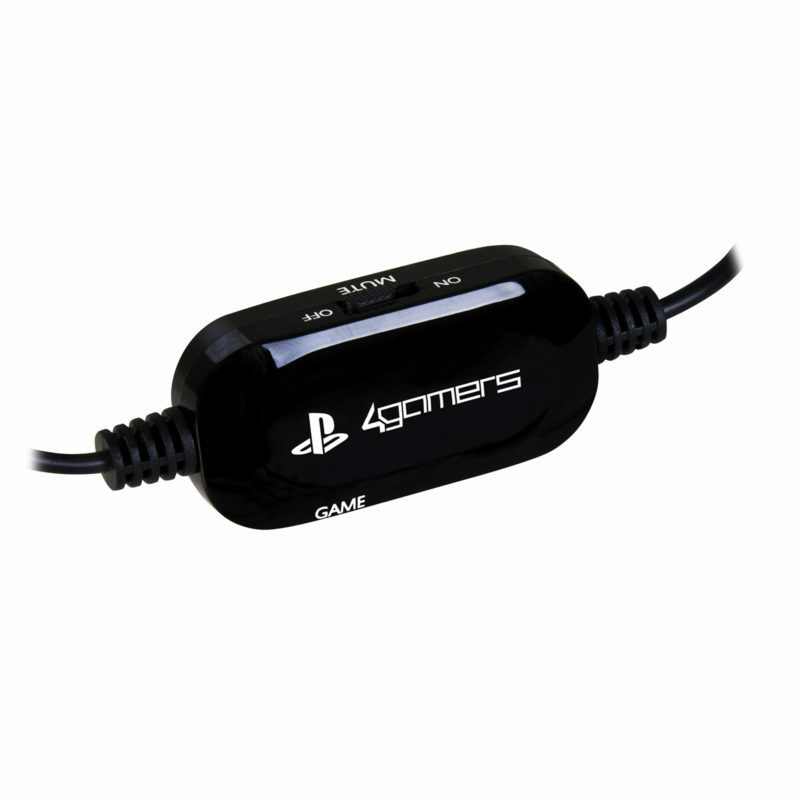 A: All the current line of 4Gamers Gaming headsets for the PlayStation System are wired headsets with the 3.5mm Jack connection. Q: Why will my microphone not work? A: Please check that the Mic. Mute switch is in the OFF position. If the problem persists, please see our article: "Why is my mic. not working?" Q: Does this have the Tilt and Twist design like the Pro4-10 and Pro4-40? A: The headset has a complete, static headband. 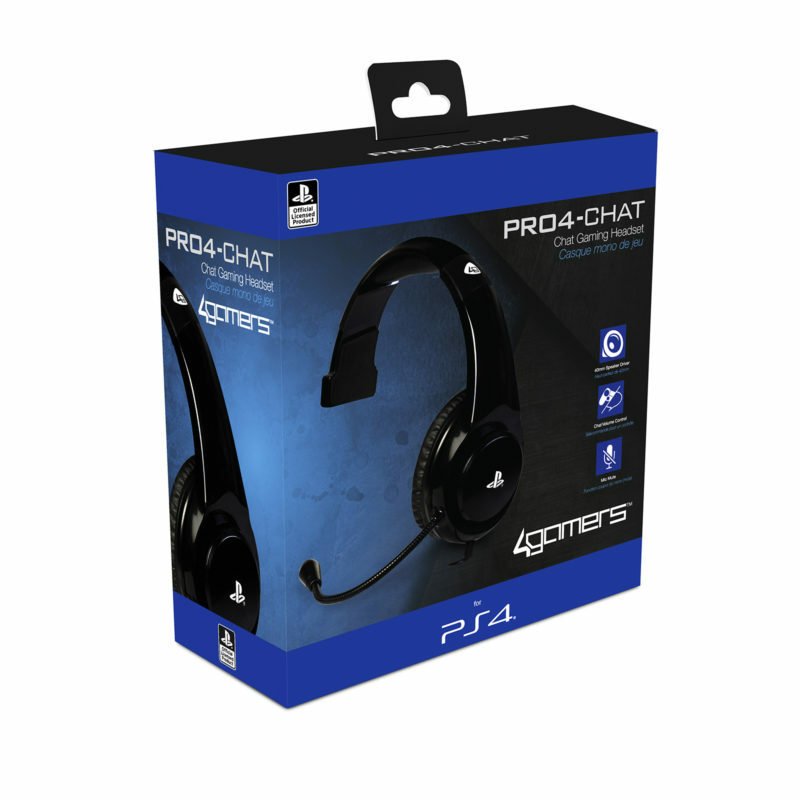 Although this is adjustable full ultimate comfort to enhance gaming experience, the ear cup does not twist like the Pro4-10 and Pro4-40 models. Q: Is the Mic. removable? 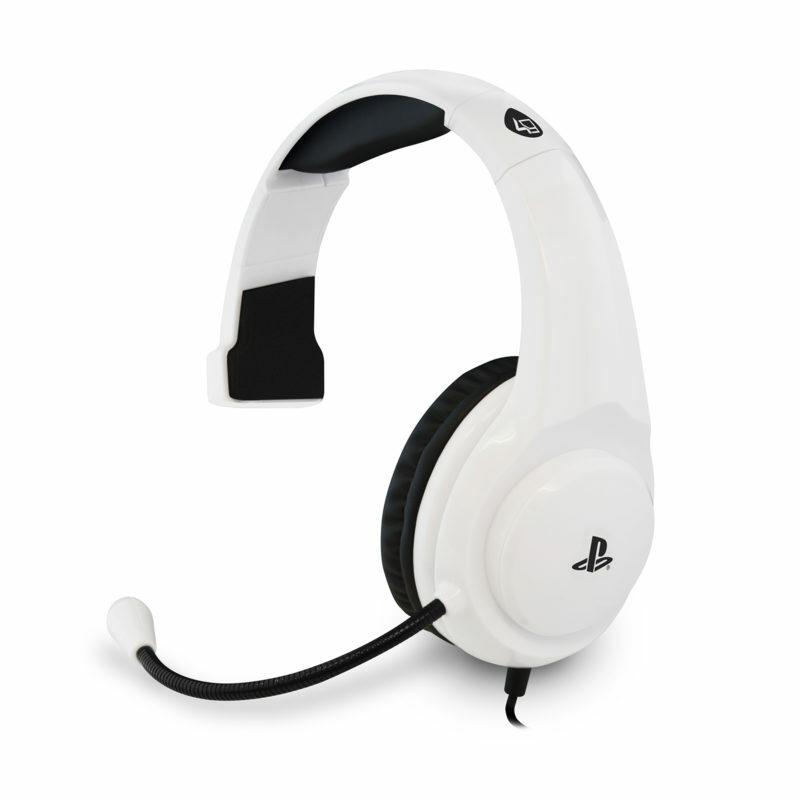 A: In this style of 4Gamers PS4 Gaming Headsets, all mic. options are fixed into the headset or on the inline wire, these cannot be removed.